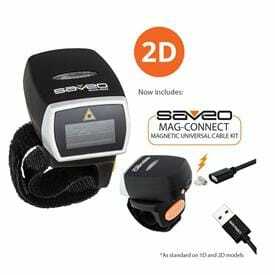 Saveo Scan enables you to convert your smartphone or tablet into a high-performance cordless Easy to use and inexpensive handheld barcode scanner. Suitable for use in mass transit, ticketing, retail, point of sale (POS), logistics, pharmaceutical, inventory control, healthcare, field service and almost all other mobile business applications. Compatible with Android, Windows and other Bluetooth based mobile devices, including popular models such as the Samsung Galaxy S4/5/6/7, Google Nexus, Motorola Moto G, HTC One and many more. HID Bluetooth communication allows you to start scanning instantly, saving you the time and the cost of software development. USB OTG-compatible Android devices will allow wired data connection, while Bluetooth connectivity is possible with any Android, Windows or Bluetooth based mobile device. 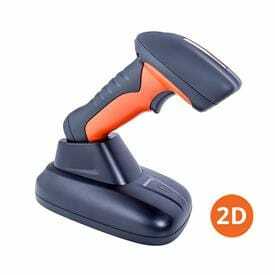 Reads all barcode symbologies, including barcodes from mobile devices, LCD and LED screens. Three scan engines are available: choose from 2D imager, 1D CCD or Long Range depending on your requirements. 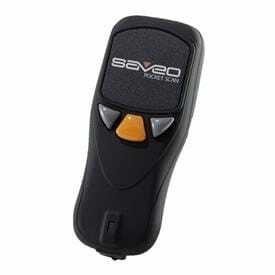 Saveo Scan offers multiple mounting options. Choose from an adjustable smartphone or tablet holder or get military-grade protection with a rugged clip-on holder.